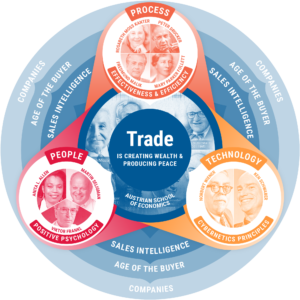 It can often happen that as you’re surfing the web, you come across information that you really need for your sales or marketing efforts. In such a case you must note it down so you can enter it in CRM later, or click over to your CRM, and work back and forth between your browser and CRM to enter the information. Here’s a great time-saver for such situations. Introducing Pipeliner CRM Web Clipper—a customized Google Chrome Extension with which you can easily clip web pages, or highlight parts of web pages, and save them in Pipeliner as leads, accounts, contacts and even tasks. 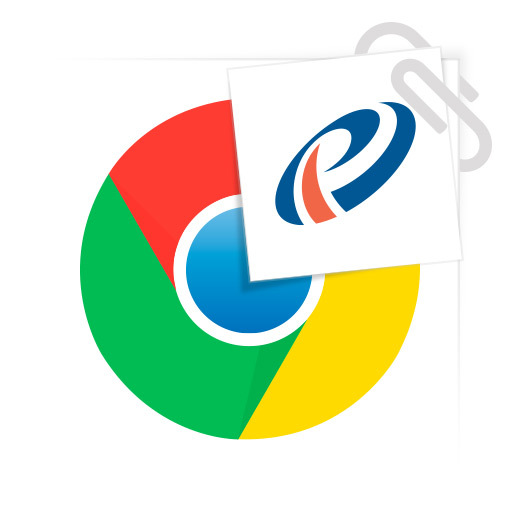 To use the Pipeliner CRM Web Clipper, you will need to use the free Google Chrome Browser. When you come across a web page that is relevant to your business, you can clip it into Pipeliner as a lead, account or even a task for you to check out later. 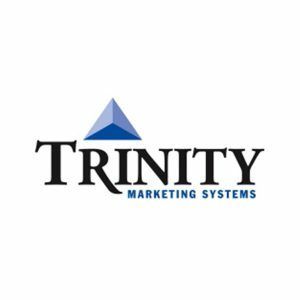 Example: You’re out on the web and come across the web site of a company you know could greatly benefit from your product or service. 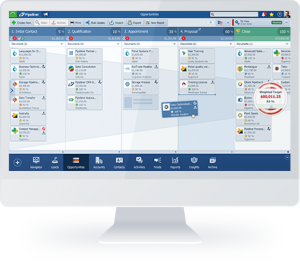 Simply clip it with the Pipeliner CRM Web Clipper, and save it into Pipeliner CRM as a lead, account or task. When clipping a new record into Pipeliner, Pipeliner CRM Web Clipper also shows you a preview screen, where you can easily review clipping data and even add more useful data to the clipped account or contact. 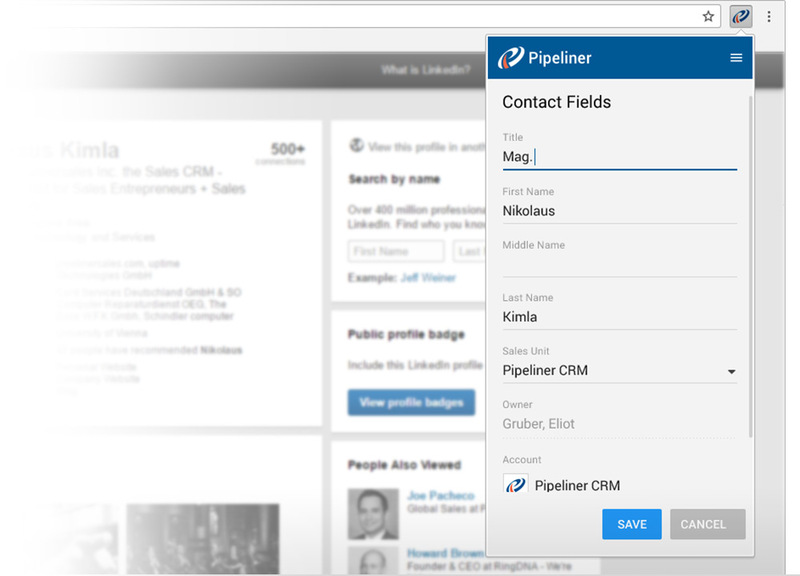 With the Smart Clipping feature, when you browse a particular web page (LinkedIn, for example), Pipeliner CRM Web Clipper is able to recognize it, and will clip even more publicly available information for you, such as contact’s position, email address or even a phone number. In browsing a web page, you might come across part of the page content that is relevant to your business. Simply highlight it with a mouse and click Pipeliner CRM Web Clipper to save that information in Pipeliner as a lead, account, contact or even a task for you to check out later. Example: In looking over a particular web page, you see a contact or contacts as part of the web page content that you know you would like to follow up. Highlight the relevant content with a mouse, and use Pipeliner CRM Web Clipper to save it in Pipeliner as a lead, account, contact or task. 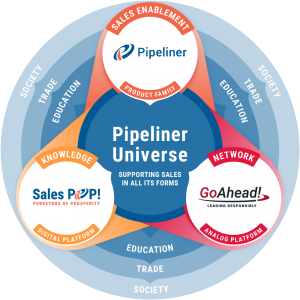 If you are running the latest version of Pipeliner CRM (Pipeliner Continuity), on either the Starter, Business or Enterprise tier, simply download the Pipeliner CRM Google Chrome Extension. You’ll then have the Pipeliner Web Clipper, the Gmail Inbox App, and any future Google Chrome Extension apps developed for Pipeliner CRM.